At a recent event for the Westminster Abbey Institute, I was asked what made me join the Civil Service? I answered that at the age of 21 I simply needed a job. I had no grand plan but I knew that I wanted to do something worthwhile. My father was in local government, so there was some tradition of public service in the family. When I started at the then Department of Employment in 1973, the values of the Civil Service were to some degree unspoken; there was a sense of one generation passing the values and traditions of the service down, but they were not always overtly discussed. 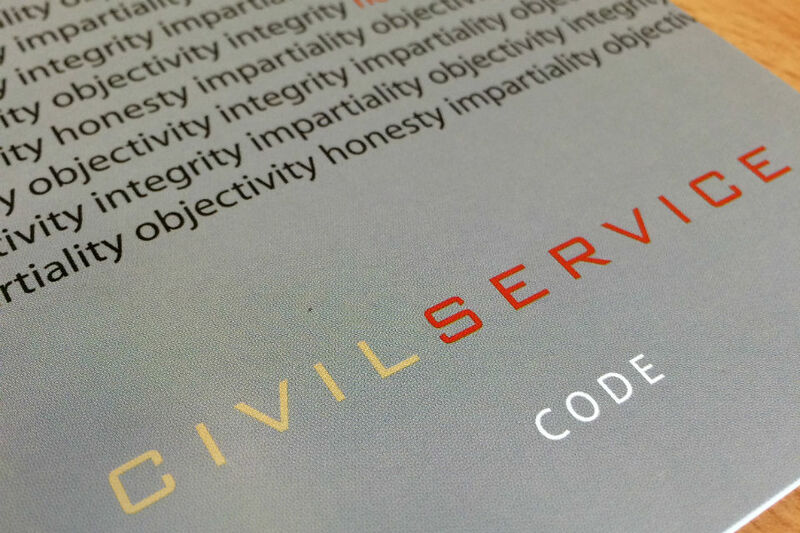 The Civil Service Code, which sets out those values - impartiality, honesty, integrity and objectivity – came into being in 1995. And in 2010 the four values and the code were given the protection of primary legislation under the Constitutional Reform and Governance Act. 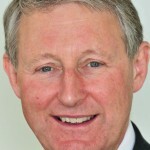 The code was developed following a number of high-profile cases in which it was suggested that civil servants had been put under pressure to act improperly. It was agreed there was a need for a code - and an independent mechanism for appeal - should individuals feel under similar pressure in future. The code is a very brief, clear and compelling statement of what the Civil Service stands for. I was particularly pleased to see that the 2015 People Survey showed very high levels of awareness of the code across the Civil Service – 91% in 2015, up from 81% in 2010. Many companies would like their brand to have a set of core ethical values as ingrained as those of the Civil Service. Even so, there remains a danger that we take those values for granted. The Civil Service values should be regarded as a major selling point for new recruits, particularly for young people considering a Civil Service career. Indeed, a recent survey by Global Tolerance showed young “millenials” want to work for employers who enshrine values and ethics in their business model. The code is an integral part of building an ethical Civil Service culture. Awareness is one thing but civil servants must also know how they can raise a concern and have confidence that if they do it will be properly investigated. The latest People Survey shows that across the Civil Service, 66% of staff say they know how to raise a concern in their organisation, and 68% are confident it would be investigated properly. The independent Civil Service Commission, which I chair, has a key role in helping to promote the code, and hearing appeals made under it. We work with departments to try to make sure that staff are aware of how they can raise a concern if they feel the code is being breached. Ultimately, if they are not satisfied with the response from their department, they can take their concerns to the independent commission. The Civil Service Commission is holding a virtual Open Week about its work from 7 to 11 December. Commissioners will be available throughout the week to take questions or hear comments on the commission’s work in upholding the values set out in the Civil Service Code. The commission also provides assurance that recruitment to the Civil Service is made on merit after fair and open competition. We hope that many civil servants will join in, find out more about what we do, and tell us what they think. Any questions for the Civil Service Commission arising from this blog and posted in the Comments section below will be passed to the commission. They will reply direct to the questioner, posting their response on their website during Open Week. If you would like to contact the commission direct as part of its open week, you can e-mail info@csc.gov.uk or send a question or comment via Twitter. Questions and answers will be posted on the dedicated Open Week Page throughout the week on the commission website. PMR, we are told, is system where everyone is reported on fairly, and given a mark they deserve. The experience of many, and my direct experience, is that previously agreed standards and targets mean nothing in validation, where the staff are stack ranked. This is neither honest, impartial, objective, or acting with integrity. Sir David - would you agree that if I believe a validation session was not conducted according to those four principles, I should report it under the Code? PMR, policy and management issues are NOT covered by the Civil Service Code. This is from the Commission's website, and they have a fuller explanation of their remit. Such matters should be pursued through the normal channels within the department. The Civil Service Code is sometimes confused with the Civil Service Management Code (also issued by the Cabinet Office) which deals with the management of the Civil Service terms and conditions of employment etc." That's really interesting - is there anyone I can speak to with regards to the Civil Service Code in more detail? I am interested in the Commissions view on the issue of Political impartiality. When I joined the Civil Service many years ago their seemed to be clearer lines of seperation between Ministers- who set policy direction, and Departments who provided delivery. Now Ministers appear much more hands on in running all aspects of Departments.What is the Commissioners view of the risks in this changing dynamic? I am also concerned about the seepage of political content into Departmental documentation. Today on my departments internal intranet page there is an article that indicates that in the spending review, Government has maintained its commitments as set out in the Conservative party manifesto, with a 'url' link to that manifesto. Seems to me that it is always highly questionable for a Department to publicise a political document to civil service staff, in internal departmental documentation. I would be interested in your views? http://www.gov.uk Ltd. I've heard all the public/private sector views and I'm of the opinion that every level of business has a public sector/private sector price tag. I would like to see this go all the way to the top so that we get the best in the world. Why not advertise internationally for the next Prime Minister or Head of Civil Service. We want the best performance at the cheapest rate. So why don't we open the floodgates and instead of being marked on their attitudes/behaviours/performance we can give the job to the person who is cheapest. That way we can get the best service for next to nothing. If the code also protects the rights of civil servants not to be asked to act contrary to our core values, what should we say about the Chancellor’s autumn statement; ‘consult on options to move operations of the Land Registry to the private sector from 2017’ (page 74)? One of the core values of the Land Registry is the integrity of the Register. This is not at the heart of considerations, so as a civil servant following the code what action should I take? Educate the Chancellor that Land Registry is a quasi-judicial self-funding department which made a profit of more than 100million last year for the treasury?? So my question to Sir David: As a civil servant do we have any right to point out the errors of these ministers or government at all? Only taken 8 years to find the "Civil Service Code" ! All the usual platitudes, with no substance. Especially like No. 19 : "If the matter cannot be resolved using the procedures set out above, and you feel you cannot carry out the instructions you have been given, you will have to resign from the Civil Service". So much for Integrity, Honesty, Objectivity and Impartiality - If you don't agree with management, fall on your sword ! The code is clear but not enforced, with the end of check off for union members a clear example of failing to demonstrate core Civil Service values.